This week on BILL MOYERS JOURNAL, Bill Moyers talks with Jonathan Miller about his upcoming series and his views on religion in the modern world. Jonathan Miller's series "A Brief History of Disbelief" will air on many PBS stations across the country starting May 4. Click the adjacent picture to watch a clip from the series. To find out when it is airing where you live click here or check with your local public television station. The conspicuous absence of the the Twin Towers involving, as it does, the inherent conflicts between Christianity, Islam and Judaism, is I think one of the most powerful expressions of religious fanaticism in the late 20th and early 21st centuries. Where does religious fanaticism come from? Is ever there such as thing as too much belief? I heard an awful fight in the sky the other night. (Written in the spirit of a "Jack Tale" or folktale) Joshua bin Joseph screamed in anger, "I ain't never going back, and you can't make me!" "Well then," Hodaddy God replied judgmentally in a disappointed voice. "You'll have to tell the Monotheists. They're expecting you for a big Endtime." "Now hear this you little ant-brained idiots," Josh shook the firmament with his wail. "You don't need me to end your sorry existence. Do it your damned selves!" "That's my boy," Hodaddy said proudly, "And now off to a better cosmos to create perfect worlds. You have passed my test admirably." "I wasn't going back, no matter what," Josh mused, "Let small-minded and short-sighted Lucifer have them." "Haven't you heard, Jeezy? Satan quit and left the universe, disappointed by humanity..."
"Yep, even the ones who claimed to believe acted as if we didn't exist," says Hodad, "So from now on, as far as they're concerned, we don't!" Mr. JeffMunroe wrote, in part, "Frankly, if a person in the general population---and most certainly of meager means---had declared the same thing, they'd likely be referred to a psychiatrist to be tested for Schitzophrenia." Humor is always a sanity gift. Even if you did not deliberately do it, I believe the armageddon crowd IS suffering from "Schitzophrenia" and not schizophrenia. What a great belly laugh - thanks! It is refreshing to see a program that is intelligently done, albeit brief (pun intended), dealing with the centuries of abuse that religious leadership has foisted upon not only those that don't believe in any sort of afterlife or god, but those that have a more loose interpretation of spirituality. Rarely has it ever been the other way around. Religion, by its very definition within its own doctrines, has no room for expansion, for growth, or for change. It's a social vehicle that has, for centuries, kept mankind in the slow lane morally, socially, and scientfically, despite the fact that mankind is constantly evolving. The most troubling part of religion is its fascination with the End Times, and its constant need to have things 'just right' in order for Judgement Day . . . depending on what faith you pray to, someone is likely going to be getting the short end of that stick. Many dates predicted by some very prominent figures in religious history have long since come and gone, and we're all still here. What so many people that do believe in Revelations don't understand is that the End Times they wrote about was expected to happen in or near the authors' lifetimes, not ours. Unfortunately, when you do have a leader like Bush who does claim to talk to God, we are suddenly faced with the very frightening possibility of said world's end, especially when you consider that technology has given us the ability to create a nuclear armageddon. The disturbing part of the above fear is that it's not as if Mr. Bush was speaking metaphorically, he was declaring directly that he spoke with God. Frankly, if a person in the general population---and most certainly of meager means---had declared the same thing, they'd likely be referred to a psychiatrist to be tested for Schitzophrenia. At the very least, they would be encouraged to seek medical attention. It's not truly unreasonable in the slightest to see why most rational thinking people (atheist, agnostic, or even many of the faithful that have a less of an 'old testament' take on their religion) are worried about religion having far too much power in modern politics. It is by no means miraculous when a nation's army descends on another's in order to fulfill some scriptural ideal or morality, and self-fulfilling prophecies are hardly divine. It is almost with a sigh of relief that I watch a series like Mr. Miller's, knowing that at least there are some people willing to question the logic of religion that seems to be tearing our world apart . . . yet again. Bush bashing? Bush himself, of course, by his actions offered a very large target to shoot at (an ill advised war, economic collapse, Conservative Christian discourse). Is PBS the mother of all Bush bashers? PBS is hardly the Bush bashing network. The Frontline documentary Bush's War may have been a bit slanted. If it was slanted, however, it was slanted toward that most "radical" of US bureaucracies, the CIA. Was there a significant element of the holy crusade among Americans both within and outside the government in the lead up to the Iraq War? There can be no doubt that there was. Not everyone, of course, bought into the holy war or jihadic aspects of the enterprise but many if not most Americans did. Do some atheists have an air of superiority about them? Well yes. This us smart them dumb is a rather common if unfortunate human trait. Various Christian groups (and religious groups in general) have been characterised by this trait. 1. The Iraq war was for many, including I suspect Mr. Bush himself, a religious war, almost a religious crusade. Was it a religious for all? No. For most? I think yes. 2. Bush, of course, is a very easy target to bash. PBS's documentaries on the economic collapse and the war (though Bush's War was perhaps too slanted toward the CIA) were quite evenhanded. Let's get this part out of the way: I have been an open, active atheist for over 40 years. Jonathan Miller said: "No openly atheist politician can ever be elected in the U.S.
WRONG: The highly prominent atheist writer and thinker, none other than Christopher Hitchens himself, strongly supported the Iraq War from the start and still does. Miller refuses to recognize that ATHEISTS can also be patriots...again I quote Hitchens, who said his..."most proud day was taking the oath to be an American." Miller takes the simple road: Atheists are smart, religious people are dumb. Atheists also clearly recognize the presence of evil in secular terms. And they are willing to fight against it. Many atheists have served in WWII and in other wars. Not all religious people are idiots. I might call them naive, but many have advanced degrees in science. I don't agree with them. I am an atheist. But I don't agree with Miller either. And, I am sick of GWB bashing, typical of what comes from PBS Pablum. As one whose religion is about his relationship with God and never about trying to change the minds of others, I have often thought atheism could be a big step up spiritually for many who hope selfishly to get God's favor by denying others the God-given freedom of thought and belief. I'd go farther, and say trying to "convert" others, whether by argument or by force, is a violation of spirital law. If this simple principle were more widely honored, there would be less need to point out the horrors created by religion run-amuck. This fana what ever is just a way to do evil and have forgiveness bestowed upon the wrong doers.I have never understood how you go to war,inslave people,refuse women,gays,blacks,handicaps rights,in the name of a savior. Then I have to remember the tales of the savior.The cristian savior watched as Kane killed Able because he disapproved of his gift.The savior bore a baby with an 11 or 12 year old girl. This same savior is quoted as saying the only sin unforgivable is to not love him.Then I go old yea, you as christians do follow the goodness of your Lord and savior. I am more base on truely being a moral non oppressive human being.Your rightiousness is all wrong for me.I pray not to a powerful God who would allow child abuse, hunger and war. Long have I thought these thoughts of "disbelief". I relize without study but by observation of what is going on and what has gone down, this concept of " religion". Superstitions have long held reign for/on the human race. There is an apparent need for the race to control itself and ease, if not erase the concept of the finality of death. Give us direction of a moral sense and give us a "Life after Death". I would wish for some "thing" that I could pin hope apon. To that extent, I feel and exist as Human. What trips me up is what I want and what is "real", well they just don't jive that well. I am given a world/reality that does not lend or give credence to a religion. That is the reality. Tis a harsh mental exercise to live and die. Then, to hold your self accountable with out some sort of reward for good behavior and/or punishment for bad behavior during the time you exist... And even then, the concept of good/evil depends on your religion. Harsh indeed! For some religions, it's a Golden Rule, for others it's kill the infadels to go to a... Heaven(?). For other doctorines, it's, stay cool and look within. It's just what the doctor ordered but it's just too much for me! Religion and/or Superstion fits the bill rather nicely however. Again, I'm not studied, but then you don't need to study that that is given, without belief. Jonathan Miller is to be commended for this thought provoking series. I spent alot of time chasing it on PBS and found it consistantly on youtube (http://www.youtube.com/watch?v=qc2n4r-0sLU). Thanks, as always, to Bill Moyers for the expanding intellect. Where does any fanaticism come from, religious or otherwise? I would have to say obsession. And obsession is insatiable curiosity. An overwhelming desire to understand; which means being able to see something from every possible perspective. Eventually it would seem likely to produce extreme behavior. My guess is that most people do not need to go that far. Probably only a minority, 10% or so do. Therefore religious fanaticism is probably just a result of genetic variation. On the other end of the spectrum there are the people that don't care about anything. They simply don't make headlines. Where does religious fanatacism come from? The answer may exist in consideration of human consciousness in its entirety. The most basic emotional need is love. A doctrine surrounding our capacity to love is at the heart of every major religion. Is there ever such a thing as too much belief? No, our inherent nature wants love,--so it would seem there never could be such a thing as too much belief in love!! To consider the human course, we see a relativity of an awakening of our capacity to love; and the release of this potential by the American Constitution,-- to our rapid ascent; with social focus on a God of love,--no matter the religious affiliation--we were able to 'come together in thought'; release diverse talents, and assume a direction toward common welfare. The behavior of religious fanatics does not exemplify 'our capacity to love'!!! To understand fanatacism we need to consider the basic manner of mental formation. The human body automatically takes a picture of the environment, and delivers it to the 'invisible person,--or 'self',--personal consciousness;--and this mind so formed directs the body to adapt,--to copy environmental actions. Our primitive ancestors lived in a reality formed by the body,--by the physical senses and the central nervous system. The image to which they adapted was a physical environment that appeared as a hierarchy arrangement, effected by intermittent motions that overpowered the weaker,--and brought things to an end. This view seems to have been incorporated into a social system;---extending ultimate authority to an 'all powerful' God. Religious roots trace to cave dwellings; and the establishment,--despite an unspoken message perceived only through personal awareness--'our capacity to love'--; perpetuates an oppressive structure,--and anthropomorphism,--a God with the limited human mentality acquired from the oppressive motions which disrupt the normal state of the physical world. Fanatacism then could be formed by automatic allegiance to religious theory; with failure to reach the conscious maturity; the true peace and 'capacity to love'; which requires personal effort,--can only be found deep within personal thought. The reason fanatic behavior is extreme could be because this reconciliation with God is by nature our greatest need; but the mental soup must be strained----because 'the way of mankind' is oppressive,--which is incompatible to human nature;--and as 'the capacity to love' is an entirely personal conscious experience,--but an experience encountered by uncounted millions; and unlike everything else in the human mind; is not acquired from the physical environment;--I believe exemplifies the WILL of God!! Isn't is sad that the PBS station for the Nation's Capitol, Washington, DC has chosen NOT to air this program? Do you think they are afraid to since the Religious Right crowd has such influence in Congress and in charge of funding PBS? SPEAK UP? write to WETA and ask them to show this program. How come you don't announce when it's going to be on and how come I can't buy it from PBS? Is it banned or something? I would like to purchase this program just so that I can watch it in a non-disjointed way. How convenient for the purpose of his documentary that the destruction of the twin towers represents "one of the most powerful expressions of religious fanaticism". And ironically, as with religious fanaticism, he too draws conclusions from unproven assumptions. There are far too many unanswered questions, and much circumstantial evidence to the contrary, to state categorically that the attacks on 9/11 were the sole work of a group of Muslim terrorists. That is the official story, of course, but as numerous scholars, like Dr. Ray Griffin, have pointed out, it is a story riddled with contradiction and misinformation. Surely, to begin a documentary based on such a potent symbol, Jonathan Miller should have at the very least included the word "alleged" in linking the attacks to the work of religious extremists. Or did it just suit his purposes all to well to include it? How convenient for the purpose of his documentary that the destruction of the twin towers represents "one of the most powerful expressions of religious fanaticism". And ironically, as with religious fanaticism, he too draws conclusions from unproven assumptions. There are far too many unanswered questions, and much circumstantial evidence to the contrary, to state categorical that the attacks on 9/11 were the sole work of a group of Muslim terrorists. That is the official story, of course, but as numerous scholars, like Dr. Ray Griffin, have pointed out, it is a story riddled with contradiction and misinformation. Surely, to begin a documentary based on such a potent symbol, Jonathan Miller should have at the very least included the word "alleged" in linking the attacks to the work of religious extremists. Or did it just suit his purposes all to well to include it? Thank you Bill Moyers for many years of doing what you do. I wish there were more people with your courage and willingness to seek the truth. What do you think is preventing "A Brief History of Disbelief" from being shown again on PBS? Surely the Christian community that I am a part of would not stand in the way? Our would they? As excellent as A Brief History of Disbelief is - a far greater series dealing with disbelief about the Bible is the 2005 four part series called, THE BIBLE UNEARTHED. This program using archaeology rips the Old Testament to shreds ! Even as an agnostic, I was upset yet grateful for this program that did not give me the " truth " but just the facts! I implore P.B.S. to show this series which features archaeologists Israel Finkelstein, Neil Asher Silberman and Donald Redford ! I don't think I would have given much thought to atheism as a subject having a history worthy of study. Afterall, while religious belief requires a history (unless you create your own religion from scratch), disbelief requires no history at all - you simply don't believe what others do. Thank you for this very intelligent and rational presentation. Jonathan Miller's description of many religious elements as being "alien, uncongenial, and to be frank, unintelligible" resonated strongly with me. Being surrounded and sometimes smothered by religious believers during my lifetime, I have never felt animosity towards christians or christianity, for example. And yet I have often felt that I had to defend my own disbelief to those who would consider me at worst as evil or at best simply not worthy of any further consideration since my ultimate fate was eternal doom. Why is it not sufficient for me to simply confess that these religions don't seem sensible to me and therefore I cannot believe in them? I watched the final episode of this series last night. I was saddened and angered by what I seen and heard from this TV show. This sought of television will do nothing to convince a mature Christian that his belief in God and in the redemptive work Jesus Christ his Son, are any less true. This sought of television is surely Satanic in nature and will only serve to further his - the Devil's - agenda... to cause ignorant people to believe and assert that there is no God. Evolution is a fantasy of a different kind, it is an inverted fantasy. It never happened. I could not have happened. The evolutionary dogma defies the laws of Physics and Biology. There is no substantial scientific evidence that evolution ever happened. It is all based from conjecture and presupposition. Evolution pretends to be biology but it plays us for fools because it provides no successful experimental documentation. Most biology textbooks show a glass apparatus in which the precursors for amino acids were boiled and electrically sparked for a week, and sure enough, there were trace amounts of a few amino acids. The implication is that if similar, unthinking processes were continued, then a living cell would evolve. Such logic is like stating that automobiles evolved long ago by means of rubber sap, sand, iron ore and coal falling into a volcano. The iron ore and the carbon in the coal made steel, the sand melted and made glass, and the sap vulcanized and made rubber. Then after billions and billions of trials and errors, there evolved spontaneously better and better pistons, cylinders, whole engines with spark plugs and transmissions, axles on four wheels with rubber tires under bodies of steel with glass windows, windshield wipers, headlights, and tanks full of gasoline. The text might state that the first cell and all life evolved in a similar way. Scientist note that such a tall tale is a fantasy of a peculiar type. If someone said he had bought a brand new car the night before and in the morning found it rusted and rotted to a pile of power, then we would note that his story described correctly the direction of the laws of Physics, but rust and rot do not occur that fast. Contrarily, if he says that a pile of sand and iron ore evolved into a brand new car, then we recognize this as an inverted fantasy because it is the opposite of the way reality works. So, the amino acid and volcano car example are not merely fantasies, they are inverted fantasies. They are not the cow-jumped-over-the-moon kind of tall tales, because cows can jump a low fence. They are the grass-ate-the-cow kind of tall tales, an inverted, upside-down kind of fantasy. 1. The fool has said in his heart, "There is no God." They are corrupt, they have done abominable works (i.e. Hitler, Marcs, Manson, Darwin) There is none who does good. 2. The LORD looks down from heaven upon the children of men, to see if there are any who understand, who seek God. 3. They have all turned aside, they have together become corrupt; There is none who does good, No, not one. This television show has helped me to understand the extreme dangers - of this Atheist's viewpoint - that lurks just around the corner, waiting to trounce upon our societies. If the atheist were to turn from their disbelief and acknowledge the existence of God; And it is later proven beyond any doubt that God do not exist, he looses nothing, his state, his eternal destiny remains the same. If the atheist, remains in his present state of disbelief; and there is a God, then he looses everything, even his very soul. There lies the problem, the atheist do not want to be told he is a sinner, he do not want to be told that God is the ultimate authority and judge, he do not want to be told that God has already judged mankind guilty of sin and that the payment for sin is death. And that is why we die, that is why the world is full of death, diseases and sicknesses, violence, inequities and all other manner unrighteousness. Please, for the love of God, re-air this series, 'A Brief History Of Belief' (either 13, 13 HD, WLIW, WLIW World). I missed the first episode and would love to catch the series in its entirety. I don't care if it's 2 in the morning, just air it again. Or maybe offer it On Demand. Thank you. How cowardly of the Corporation for Public Broadcasting to decline national distribution of 'A Brief History of Disbelief'. Nonbelievers constitute a significant segment of the population, yet almost never get equal airtime for any presentation of their point of view. Shame on PBS, the self professed proponent of higher education, for its choice to go the way of commercial television and pretend atheism is insignificant and not a potentially powerful force for the greater good. All great leaders have known to put god out in front of their cause. You wouldn't get many people to volenteer to die for their country's economy. (As heard on Logically Critical). I loved this show and have passed it along to friends. Knowlege is power, it is time to wake up America. Yes. There is still the ever prevalent problem of hostility toward disbelief of religion and a conspicuous lack of recognition regarding disbelief as a sound idea. I find joy in the popularization of freedom of thought and will and wish its proponents well. The evangelical religious right continues to invade and pervert American politics. Let’s be clear about one unambiguous point that simply cannot be disputed: the Constitution of the United States nowhere mentions God or Christianity. That is a fact. Yet religion now so dominates American life and has infiltrated our educational system so deeply that even basic facts about our government and history are now seen through the distorted lens of religion. Faith has triumphed over reason and fact. 55% believe that the Constitution establishes a Christian nation. 74% of Republicans endorse the notion of a constitutional provision for a Christian nation; 50% of Democrats and 47% of independent voters agree. Just 56% believe that the freedom to worship as one chooses extends to all religious groups, regardless of how extreme, down 16 points from 72% in 2000. What we see in these alarming numbers is a precipitous degradation of our basic freedoms, willingly ceded by Americans blinded by faith. This perspective has real consequences. Faith-based reasoning is why we are now mired in Iraq. With faith, one is free to ignore facts; one can simply believe, and that is enough. One is free to fabricate as long as one believes. When your instructions come directly from god, why examine facts on the ground? The results of this approach are obvious, and catastrophic. We can and must do better. We must return to the roots of our Founding Fathers, recapture reason as the basis for our foreign policy decisions, and recommit to secular laws creating domestic policies that can be sustained realistically. We are not a Christian nation; we are a nation of Jews, Catholics, Protestants, Muslims and secularists. We are a nation of laws and logic. Any move away from that foundation is a grave threat to our very existence. The marriage of theology and ideology is a dangerous union, inherently blind to reason. Supreme Court ruled in June 2007 (Hein v. Freedom From Religion Foundation) that taxpayers may not challenge a Bush initiative to help religious organizations receive federal funds. At the heart of the case is a 1968 Supreme Court ruling that allowed taxpayers to sue government programs that promote religion; in that case a federal law that financed teaching and instructional materials in religious schools. The majority, including of course Roberts and Alito appointed by Bush, said that taxpayers cannot challenge an executive branch program, arguing that the 1968 ruling covered only programs funded by congressional appropriation. Dissenting justices, including Souter, said that position was absurd, saying the 1968 ruling draws no such line, and the logic of the majority has no basis in either precedent or logic. In March 2007, the Fish and Wildlife Service, part of the Interior Department, did something astounding in preparation for an international meeting in Norway on conserving Arctic animals: the two scientists representing the Service were prevented from speaking about or responding to questions about climate change! A spokesperson said that climate change was not an agenda item! A truly absurd claim because a primary concern of the meeting was how melting ice sheets would affect Arctic life. This is not an isolated event: Michael Griffin, head of NASA, says that climate change is not a problem we need to wrestle with NASA has consistently prevented its scientists from discussing climate change, and in particular, has repeatedly tried to muzzle one of their chief scientists, Jim Hansen. This is how Bush handles facts he does not like. This is also consistent with the Evangelical approach to the environment. Also in March 2007, Jim Dobson, founder of the ultraconservative Focus on the Family (we’ll ignore Ted Haggard, or Newt Gingrich and his multiple affairs), called for the resignation of the chief lobbyist for the National Association of Evangelicals (Rich Cizik) because of his environmental activism. 	After 10 years of study, and independent peer review by the National Academy of Science, a scientific team issued final findings on species management along the Missouri River, listing actions that were to take effect in 2003. But the Bush Administration stepped in, inserted a new team, and revised the biological conclusions from the 10 year study, with conclusions suitable to the White House. Faith-based policy-making is dooming us to failure. When will KVIE, Sacramento, air this show? I and several of my friends have consistently requested this show and the only response we get is that it has not been scheduled. When will it be? We support PBS so that we can get a wider choice of programs than appear on commercial television. Q: Where does religious fanatacism come from? Lack of patience; turning to the ways of man rather than trusting in the sovereignty of God. I have never seen a documentary of this subject matter put together so well and with such vital facts and important history as this film. I enjoyed it and found it so very interesting. Every documentary with the subject of religion is too often boring and filled with mostly christian beliefs. This one was truly different, explaining the opposite, while not coming off as an anti-christian film. Please air it again and soon ! Cheers & Thanks to all the PBS stations who aired this, Bill Moyers & Jonathan Miller ! BBC4 "Have your say" website for the series says no plans to release on DVD or video. No indication of when that was said. I suggest writing BBC if to say they should make plans! I've seen only two parts of this and I'm looking forward to getting the DVD or seeing it again in full. Please air it again! Very, very good show! I thoroughly enjoyed this series. As a 20-year old in America, I find it hard to express myself as an atheist. Hopefully this series put atheism into perspective for some folks: it isn't a signature for immorality or unethical behavior. Not to say that all atheists are good people, but certainly not to say that all reigious folks are good people either. Just because you go to church every Sunday doesn't make you a moral person. Maybe someday we'll look past religion. Anywho, thanks again. Great job PBS. I cannot commend enough the very tough subject (at least in America) of disbelief, and the very intellectual and sometimes amusing anecdotal way its discussed and debated. How refreshing for those who are Humanists, and although we try to read, watch, learn, etc. about the world's religion, have found no good reason to have that "belief" in our lives. Most of us have tried it and come to our own conclusions. I only hope that it plays in this newly "religious" country as well as it was received abroad. What a refreshing breath of reasonable air. Thank you. I can't wait to see the other two parts. hurrah for PBS. No other station in America dreams of putting on thoughtful and realistic ruminations by such distinguished guests and respected forefathers who didn't believe in a God or Gods. That Bill Moyers ended his piece with that of Karl Rove and his disbelief, but yet using it to gain office for the Bushes is just too darned good for some cutting room floor. Way to go Bill Moyers. Way to go Mr. Jonathan Miller. I do think the Greeks posited this question and were the last greats to do so as a group. Thanks again. Great show. Unfortunatly it will never sway a "believer" nothing will but that's ok because Sunday is the quietest day of the week when they all wander into their churches then go home to talk about their God. With a barely a car on the road I know when I take my kids to the park on Sunday they are safe from those suffering the mental condition of religious conviction. Keep relgion alive so the rest of us may have a more pleasent Sunday without them taking up space. I cannot absolve the iniquity of all organized religions over time, except to say that whatever mankind touches eventually smacks of Adam's sin when left to the unconverted heart. What made this three hour program so devastating to me was the fact that so-called Christian hypocrisy is terribly easy to observe and condemn. Little has changed since Constantine in this regard. My conclusion is one of pragmatism. When one chooses to seek out malevolence in any institution it is natural to ignore the honorable. The post modern intelligentsia is programmed to repulse any authority - be it religious or societal. Their entire education relies on his feistiness. Thank you PBS and Milwaukee Public Television for broadcasting Mr. Miller's Brief History of Disbelief. And thank god for Bill Moyers!! Will the "Brief History of Disbelief" be available on Video? I daresay that the Jesuits who educated me will welcome Mr. Miller's series, if one is to judge from the first episode, which I just saw as a repeat on WNET from New York City. Jonathan Miller presents himself as a ponderous, rather pompously self-important, rambling pendant. Much of his argumentation is "from authority" - that of his own generously endowed ego. The interjected, abrasively intoned quotations from "atheistic" masters, spoken by an actor, don't help to lend credibility - rather they lend "irritability" - to the entire presentation. The series appears to be a little too much about Mr. Miller, and not enough about a history of atheism - an inherently fascinating subject for anyone, believer or no. In the first segment he picks up a book from a set of volumes, each titled "A History of Dogma." That could only be the multivolume work by Adolph Harnack - a fascinating work by a German liberal theologian, available in English translations in several versions for free on the web, by a committed Christian believer, not an atheist. The work is even one of the free online scholarly works at the Calvin College Christian Classics Ethereal Library! (Some atheistic tract!) The scholars Mr. Miller interviews are not impressive either, for example the "philosopher" named McGinn who gives a verbally opaque definition of "belief" that could easily be bettered by consulting the latest Webster's International Dictionary. The other "thinkers" in this first program illustrate the generally dismal state of scholarship and rigorous thinking in and out of the sciences in academia in our time. How drastically has the entire higher cultural life of the English speaking world declined in the last 40 years! I have no doubt many believers will welcome this rather dull, self-absorbed, portentous three hours as an instructional aid - in how one-dimensionally over-cerebrated, and how lacking in imagination, feeling and true affection for humanity so many atheistic humanists really are. For those who haven't yet found a broadcast of the series on their local PBS outlets, check the site of the Institute for Humanist Studies (www.humaniststudies.org) which keeps a fairly up-to-date calendar. Please tell me where I can purchase the video of "A BRIEF HISTORY OF DISBELIEF". Anyone knows how many spectators have seen it ? Susanna wrote: "It is a great sadness for me, that atheists and secular humanists deeply believe that their belief is superior to belief in God." Every belief includes this inference of superiority. Historically, religious believers have carried this attitude to the point of slaughter, not only toward atheists but even toward only slightly different believers. And it's still happening. It is a great sadness for me, that atheists and secular humanists deeply believe that their belief is superior to belief in God (however you prefer to name the "ground of all being"). As humans, I don't think we are able to truly disbelieve. We believe in some thing. Religion matters and has been used for great good and as a cover for much evil. It is not religion, or belief that is the source of our troubles; it is our human fatal flaw that we must be RIGHT OVER which is fanaticism. And fanaticism of whatever form leads to harm to humanity and all the cosmos. As a casual observer of contemporary religion and its effects on the human psyche, I am always amazed by your willingness to engage in dialogue with those who do not share the faith which obviously sustains you. Were that Christian dogma left room for the intellectual humility and curiosity you so nobly display. Your interview with Dr. Jonathan Miller was a delight. The only quarrel I would have with his view of the current turmoil in the Middle East is that he attempts to explain it in terms of a religious context. Perhaps this can be excused by the obvious omissions of his British public school education. History, of course, clearly fingers the great imperialistic powers, including-prominently-the U.K. and U.S. for the current hatred of the west in that region. How disingenuous it seems to me that we are told by the bible-beaters of our day that our religion makes us great, yet that of other's makes of them monsters. It is a tactic as old as the Pharaohs, and covers the truth of national ambitions in a shroud of ignorance. Thank you so much for your tireless efforts in the service of mankind! Thirteen, New York, has added "A Brief History of Disbelief" to its schedule for the last three Sundays of July, according to my just-received program guide for the month. So, if you're station still hasn't schedule the series, I again urge you to voice your discontent. It MAY work! Will KCTS Seattle ever air this documentary? I've been looking forward to it since Bill Moyers mentioned it weeks ago. I contacted WJCT out of Jacksonville Florida about it and didn't get a reply. I sent another msg wondering why no one responded and one program manager replyed arrogantly. Finally I got a reply from a different person as to the date of the airing but it is not listed on their schedule. I notified them but it's still isn't listed. Is that the way things work? I sure feel disconnected from PBS in this area. KNME (in Albuquerque) will be airing this 3-part series on Sundays beginning 7/8/07 from 8:00-9:00am. Or you can see it at the Albuquerque Center for Peace & Justice. dangerous it was to undermine the religious faith of the masses. The history of disbelief concludes with the ideas of self-taught philosopher Thomas Paine, the revolutionary studies of geology, and the evolutionary theories of Darwin. Miller looks at the Freudian view that religion is a "thought disorder." He also examines his motivation behind making the series touching on the issues of death and the religious fanaticism of the 21st century. Religion is nothing more than superstition, period. The different religions are nothing more than political parties seeking $$$ and power, just like the Bush/Cheney administration. Religion should have no place in governments, public policy, etc. For those who take comfort in its tenents, for which there is zero evidence, that's ok, but keep it private. The media must stop reporting religious b---sh-- as anything but fringe activities dangerous to the health of the planet and everything on it. The sooner it is evolved out of existence the better. Email your station today complaining about its omission, and copy your message to the network. Unlike anywhere else in television, PBS stations are supposed to consist of their members; if they let us down, we must let them know. Maybe if they are deluged with complaints, they will understand that they have disappointed their core audience. Fanaticism only makes sense if you believe that you will get to heaven by things you do during your lifetime. Anyone who believes this is not a true Christian, because Paul said that "If salvation is by works, then Christ died in vain." Flying an airplane into a building doesn't make you any more saved than the bricks in the building. What people fail to understand is that "good works", so-called, are merely results of a PRE-EXISTING salvation, which is acquired by repentance before Christ. You don't do good works to be saved, you do them because you are already saved. You can't add to your salvation by doing good works; salvation was completed by Christ on the cross. If we can add to this by our own futile human deeds, then Christ is not God. Religious fanaticism comes from an insecurity in one's own beliefs. When your belief system hinges on other belief systems being false, then you have to convert/eradicate those that don't fit into your way of thinking. "There are no other gods before me." "If you believe in what I'm telling you, then you will go to heaven and you will not go to hell. All others will go to hell, because they have false gods, while you do not." "Mine is the one true way." "And since others are going to hell anyway, then anything you might do to them in order to advance your own belief system is irrelevant, because nothing you do will be worse than the hell they are surely going to when they die." Religious fanaticism is an abomination against the human condition. My husband and I have been waiting for Jonathan Miller's series "A Brief History of Disbelief" to appear ever since we saw him interviewed by Bill Moyers. Where is it and why has it not be shown on KNME here in New Mexico. We are really terribly disappointed! I don't find it listed in June's Program Guide for KNME in Albuquerque, NM. Is any PBS station in the country airing "A Brief History of Disbelief"? How shameful that we can't hear a different point of view. I fear our own religiousity is on pretty shaky ground if we aren't even allowed to hear a differing idea. Please is it for sale or is it available on CBC or BBC? I have not seen this program, so I hope this post is appropriate to the topic. What is fanaticism? It is a white knuckle approach to God. It's the type of faith that isn't based in comfort before God, but in a fear that to live anything less than at full speed ahead is to somehow risk failure before God. They key to it is, I believe, a lack of self-worth in the believer. Fanaticism is born out of their need to prove their worth in what they perceive to be, and which is the most important realm of their life. If that is, indeed, true, then Thomas Friedman is correct and the current groundswell of Middle Eastern Islamic terrorism (fanaticism by definition) makes a lot of sense. It is a perfect storm of low self-esteem, little hope, and violent opportunists who use these men's situations to turn them into destruction incarnate. The worst part of the scenario is that America's greed for oil and our willingness to forego demanding and, worse, even opposing justice in the countries that feed us our oil created the groundwork for 9/11. And even now, over five years later, our government and oil industry continue to feed both the conditions and the back accounts that made possible those attacks. Is "A Brief History of Disbelief" by Jonathan Miller available for sale anywhere? I really think fanaticism as we see it today is not unlike any other powerful movement - a major source are well-spoken people who vehemently imprint their ideas onto an ideology and corrupt it. Most people who know anything about Islam know that the fanatics in groups like Al-Qaeda, Hezbollah, and Hamas are a complete misrepresentation of Islam's tenets, much as people like Pat Robertson and the late Jerry Falwell are representatives of Christianity. Can there be such a thing as too much belief? That depends on how you see it. I have a complete faith in God. I believe what is taught in my faith to be the truth. Do I think less of someone who believes something else? Not unless they choose to ridicule others for their beliefs. Fanatics have too much belief, primarily because their spiritual faith has turned into a worldly passion which gets corrupted and causes the bad things naysayers love to equate religion with. I don't see any sign of A Brief History of Disbelief on my PBS station (KLRU Austin, TX). I sent email of course. Meanwhile, thanks for the tip about veoh. I don't want to use yet another proprietary video format and watch it on my computer, but it's better than nothing! In fact, they are not all middle eastern terrorists. This impression is unfortunate because a) it is demonstrably false and b) it feeds the prevailing Anglo-American ethic that demonizes Middle Easterners and refuses to address root causes. Most terrorist incidents seem to emerge in response to perceived persecution or disempowerment by a prevailing government that is viewed as an illegitimate or occupying power, as in the case of the IRA, Puerto Rican nationalists, Tamil Tigers, Palestinians, Basque separatists, pre-Israel Zionists, Chechen separatists, and so on. Is a religious difference necessary? No (think of Timothy McVeigh, for instance)! But it seems as though a religious difference between the empowered and the disempowered turns up the heat and provides a point of leverage for demagogues on both sides. Here are some of the many examples that refute the claim of Mr. Miller. If you wish to track down some of these incidents, there is much information available from the state department, from books, and online. Wikipedia has an extensive list of terrorist incidents with links to sources. They were found guilty of terrorism in Venezuela: Bosch escaped. Both currently live in Florida and remain active in the Cuban exile community. Venezuela is seeking their extradition, but the US ignores the request. US domestic terrorists. Timothy McVeigh and the Unabomber are US domestic terrorists whose crimes are well known, and have no religious motivation. The same can be said for the Weather Underground of the 1960’s and for US eco-terrorists (who have not killed anyone here, only destroyed property), but not for the KKK, nor neo-Nazis, nor anti-abortion terrorists. Tamil Tigers. The Tamil tigers are a group of secular Hindu Marxists seeking independence from Sri Lankan government. The Tamil tigers pioneered suicide bombing with explosive vests, and are responsible for more suicide bombings and resulting deaths than any other group including the Palestinians. I think it's scandalous that it has taken at least two years for this wonderful, dense show to be aired in the US. However, I wonder about the thought processes of public radio/television "supporters" who conclude that the only way to express their displeasure with their local stations is to reduce or eliminate their financial support. Surely there are other more effective ways to get the programming you are looking for! Think about it: if fewer individuals become members and financial supporters (i.e.,underwriters or subscribers), then the cash-strapped and politically-harassed stations and public networks (look what happened to Bill Moyers and the NOW show) will be forced to get their funding from the very commercial and corporate interests whom we decry as content censors! I have noticed there are more and more commercial advertisements by corporate underwriters on the PBS and NPR networks, and I find it annoying but probably necessary. In my area, only 10% of the listening/viewing public actually subscribes. Have you ever considered that the way to have MORE clout in scheduling and content is to BE subscribers and pay up? We should take a lesson from those activist corporate share-holders who change corporate policy by putting their money where their mouth is. Thank you for watching WETA and for taking the time to contact us regarding the BBC program, "A Brief History of Disbelief." It does sound like quite an interesting program! The program is not currently scheduled to air. In addition to our regular lineup of PBS shows, we devote a considerable amount of time to heritage programs in May (Asian Pacific Islander) and June (Gay/Lesbian Pride, plus a fiscal year end pledge drive). However, we may consider it in the future. Please watch your "WETA" magazine listings or online at www.weta.org. Meanwhile, I have counted your voice as one in favor. Thanks again for watching WETA TV 26. I am writing to find out if "A Brief History of Disbelief" will be airing on KCET in Los Angeles. Has it alreay aired there? If I did miss it, is there another way to view this series? Reply to Wilf, the "insider" about omission of "A Brief History of Disbelief" from many PBS markets. If station programmers "hate boring programs that are way too long," why was four hours given to that attenuated series on the Mormons? "Boring" is a subjective judgment. (Millions watch shows on commercial tv that bore me.) Bill Moyers called the Miller series "fascinating" in his introduction to his interview with Jonathan Miller. That sounds like a good recommendation to me. I expect PBS to broadcast programming I won't and/or can't see on commercial television because it is too thoughtful, challenging, or provocative for the mass market. It's not supposed to be about the ratings. That's why I've supported it for almost 40 years. I am so thankful for both Bill Moyers and Jonathan Miller. This interview was just so full of thought provoking ideas. I am very happy to report that Miller's series is being broadcast in Philly - WHYY Sunday's at 7pm. The first part was on last Sunday and it was riveting. But this particular interview was just so moving to me. I especially appreciated Miller's description of his own life being a series of people asking him to come out to play. I personally found that the most inspiring part of the whole conversation. His thoughtful comments about assigning agency has given me much to contemplate in the past week. So much so that I have watched the interview a number of times since its initial airing. I hope this is sign that the CPB and PBS are getting back on track! Separation of church and state is a nice ideal, but impossible. Nationalism is a faith system that has all the attributes of a religion. It is rooted in history, has a "scripture," has a liturgy, reveres its "saints" (or heroes), has holy places to which people make pilgrimages, proscribes a way of life (to be defended at all costs), defines "good" and "evil," maintains a hierarchy, etc. Could the State exist without Nationalism? A commenter offered that this program can be downloaded on the website bittorrent.com but, in fact, the program is no longer available for download at this website. Another poster noted that the 3-part series was available for downloading at veoh.com. Posters should know that downloading of this program thru veoh.com is only available with subtitles. If you are willing to put up with and not distracted (as I am) by english subtitles when viewing a program whose audio is in english, have at it. Otherwise, let's all look for a place where this wonderful 3-part series can be fully downloaded, sans subtitles. Suggestions? Replace believing with thinking. Can we be courageous enough to accept empirical evidence instead of the fantasies of "revealed truth?" If we can, we may be able to prevent the destruction of those who hold quite different fantasies, er, "truths." My own small prayer: "Please Jesus and/or Mohammed, protect me from your followers." It seems that there is in human nature an inherent searching for understanding and a difficulty in accepting the finality of death. Belief structures, in my opinion, arise to relieve the tension caused by this search for answers. There also seems to be a desire for authoritarian leaders who assert their ability to receive direction from "God". Samples abound but the current Pres. Bush seems to be the latest example of the harm that comes from such leaders. We need to re-establish an awareness that the answers different cultures and peoples come up in their search are to be respected. Religions that have a history of persecution of non-believers need to be cleansed of this perverse approach to the "others". In the U.S. our founding fathers tried to establish a country in which all beliefs would be tolerated and no one would be persecuted for their beliefs and no one religion would be able to force their beliefs on the rest of us. I just pray (I'm a believer) that "God" whatever form she takes will send us a leader who will re-establish the views of our founders and desist from a messianic approach to forcing our "model" of government on other countries. I guess I'll always be amazed that people fall for religion, but there will always be people who believe in magic and fairytales, too. Humans, like any other animal, look for control and predictability in their surroundings. That's a mechanism all animals use to survive. If they don't have control over their circumstances, then they create it, even if it's only in their minds.. It gives them a sense, albeit false, sense of control. But also, humans are lazy.. er.. "apt to conserve energy" if they see a short-cut.. another survival tool. Like reading a single book and following the word of others, rather than spending the time and energy to use their own brain to understand the real world, and use their own rational thoughts to realize that religion is a contrived tool. It's all quite natural to want to preserve oneself, and since we can't actually live forever, we just imagine that we can, by going to some imaginary place after we die, a place that some imaginary figure promises us it does exist. Religion fulfils all those delusions in a seemingly legitimate package, handed down through generations. What once started as morality tales thousands of years ago when we couldn't explain much of our surroundings and were trying to form safe societies, has turned on us and become the most immoral of habits.. believing without reason. And what happens when you don't think for yourself? You leave the door open for immoral folks to take you and your mind into their own agenda, in the name of whatever you or they "believe" in. Religious leaders these days are truly either in it for themselves, or the most naive people themselves. They keep the religion going.. why? ..as per anyone else.. it's their job. And their side benefits are money and power. The most moral, kind, good and charitable people I know don't believe in fictional characters like gods. They don't ignorantly give up control of their lives.. they take control. They don't selfishly do things so that they will be rewarded when they do charity work or blow up other people. Actual "good" people do kind acts and help others...simply because it's the right thing to do. It's the selfish ones who do charity work because they think their god will help them, or save them, or take them to it's imaginary place called heaven or whatever. All religion is a very selfish, ego-centric trick we play on ourselves and others, and the heads of the religious groups for the most part know it. They delude themselves just as their followers delude themselves, because they are weak, selfish, and thoughtless. I think it's time religion got called-out for what it is, an old-time fraud system that works for those making money off if it, enjoying the power it gives them, and creating a haven to disguise the worst traits of humans as being "good". It's a very effective, self-renewing machine, but like big business, it's not exactly a good one. And one last note, why are people so narrow-minded as to link every premonition, every coincidence, every positive act.. to religion? The world is naturally full of wonderful, positive and good things. And the brains that have evolved in humans and animals are absolutely amazing instruments that should be given credit for some powerful abilities. I'm sick of religions high-jacking credit for good deeds, high-jacking our language, high-jacking people's thoughts and actions to falsely paint a picture that everything "good" is linked to religion and gods. They are high-jacking all credit for the good in people, and then taking us on such a hateful and murderous ride. Religious people are responsible for religious fanatics. Supporting religion at any level is in part supporting the fanatics and their terrorism. We would all be so much better off if humans got over their weak and selfish religions, and started looking outward and reaching out to make the world a better place for everyone. Humans are superstitious, too, another throw-back to needing or wanting control. There is no difference between superstition and religion, they both fill the same gaps in our logic. Religion is simply superstition all gussied up. When will humans begin to have actual intelligence, instead of just claiming that we are an intelligent animal? We have these amazing brains that we are wasting by allowing our world to be turned upside down by religion. Truly we are not intelligent. series which is not a part of the PBS "NPS" package is difficult for most PBS member stations due to "common carriage" restrictions, obligations to local productions, etc. There are a fair number of public television stations which do not pay for PBS programming and rely heavily on other distributors such as the Executive Program Service, (which is distributing the "Disbelief" series in the U.S.). That's why some of the stations airing the seires this month are in small markets or "over-lap" bigger stations in major markets. The series is being distributed on May 17th to all stations (PBS and non-commercials). I'll watch it and will try to find a slot for it on one of our four broadcast channels. I'm sure a lot of other programmers will do the same thing. If it was a one hour program, it would have a much better chance of being scheduled. If it is deathly dull, don't expect to see it on your local channel any time soon. As far as the conspiracy theories are concerned, take a weedeater to the grassy knoll in your head. Controversy usually means increased viewership. Programmers love viewership. We just hate boring programs that are way too long...regardless of the subject. Hooray for Bill Moyers and Jonathan Miller. OK, abit off the subject at hand, but I recall listening to the recording of Beyond the Fringe in my dorm room in 1964. I believe it was Miller doing his routine on the auditions for the role of Tarzan, saying "Stella, my love, send in the next auditioner please. . . . To the auditioner Mr. Rigby, a one legged man or as he was called "a Unidexter", "I don't believe the British Public is quite ready for a one legged Tarzan." "Mr. Rigby, I have nothing against your right leg, sir, unfortunately, neither do you." Wicked, politically incorrect, brilliant. Bennett's "Life is like a can of sardines. There is always a little piece in the corner we can't get at." Religions actually while providing a sense of security donate insecurity to individuals who if not brainwashed with either regard (believing or not)that they in the backs of their minds are actually insecure about their sense of reality. This is why I feel that religions that insulate a person(s) from the reality that 'must be' faced are not truly religion. Afterall to me as a belief the Tao or the natural way- simply believes that this option is yours to take to be of belief or not individually and most strictly too. This way no one is decieved that another entity or all knowing being needs to further any effort - other than being omniprescent. To me why bother with religions that tell me God this or that? When God if God is does not always speak and that is well known - and from what I can see if God does it is to teach us something and nothing else because we are like some animals of a more objective thought process.It is this though that I feel makes certain animals more apt to want a further life after this one. Especially in lew that so much chaos tries throughout history so often to dominate life because again of insecurity. Standard religions then often do not help people who are aggressive who want to take over, because they do not need to feel they are further insecure - eventually standard religions fail them also. Certainly it can be a compromise to believe that you need to feel guilty about what you have done or have not done but conscience is always a necessary component to guilt. So again religions most of them fail people this way. The seperation or divisions of reality we see in this country and others is an expression of these insecurities. Much of our lives and it's structures are from these standard religions* which work to further seperate us from actual life. Should you then believe in a God - why do this? Being convinced is like being convicted you put yourself in jail with some opinions that cannot be answered because we all truly have no answer. This also incorporates itself in the suppression of self and it's true outlook of individual life(s) So that life either takes on the aspect we see today as persons being cloned following the dictates of said reality. Or being strictly a person who does not want to further any belief that is not their own or to me to be uncommunicative or not natural again,because these questions truly cannot be answered and are an opposite of the first example anyway. Thanks for exploring topics no one else explores. Too much belief in my opinion equates to the 'God is in everything' or 'God has a plan for everyone' or 'God uses us for His pleasure', et. al. No matter what happens to a person who suffers from too much belief syndrome, it's okay because God is 'trying to teach him/her something'. And that is a sick viewpoint in my opinion. God doesn't interfere in the natural world. God is supra-natural or beyond science, in my view. So giving Him the credit for everything is childish at best and very dangerous at worse - look at Bush as this example. I contacted my New York PBS station and received a courteous but perfunctory reply which did not address my concerns at all. I can't abandon PBS, but I am seriously considering reducing the level of my support when my membership is renewed in December. I don't know any other way to express my disappointment in their inaction. Don't hesitate to contact your local PBS station and request that they add this program to their schedule. I emailed KQED in San Francisco, and got a real, human response, indicating that it would be coming soon. I urge my fellow Bay Area residents to email, and those others around the country hoping to watch this series. I hope that I am able to view Jonathan Miller's series but if it is being supressed in other places I'm almost sure that it will be crushed in North Carolina. I have to admit Bill's interview with Mr. Miller got me really fired up. As a scientist, a philosopher, and religious scholar, the assertion that: "Only an intelligence that is "immature" sees agency in the processes of Nature" to me is ironic to the point of being hilarious. I would argue that the child who believes that the tide has come to meet them has a more profound understanding of the natural world than the scientist who can predict exactly when the tide will come and how far it will rise. Science has limitations as a means of gaining knowledge. It is a powerful technique but it is not supreme. Through observation and experimentation limitless knowledge may be obtained on how physical reality works. The scientific method creates a self-correcting framework within which data may be collected, analyzed, shared with others, and then tested by others to replicate results. This makes science exceedingly valuable and worthy of honor. The limitations of science however must also be examined (as they rarely are) The most erroneous and commonly held misconception concerning science is that science proves things. SCIENCE CANNOT PROVE ANYTHING!!! Science can offer, at its best, a reasonable quess based on the past body of research and the current data...now somebody else might have data that makes your reasonable quess seem unreasonable to them (and if they do, you will certainly hear about it if your reasonable quess gets published in a magazine. )or they might look at the same data and conclude a different reasonable guess. Scientific facts are reasonable but questionable quesses from old magazines that nobody reads anymore and people have almost entirely stopped arguing about. What I find so funny is that any scientist who knows what they are doing and is worth their snuff, never speaks with certainty on the implications of interpreted data but only on the exact method by which their experiments have been carried out and the correct reporting of the corresponding data. Want-to-be scientists are easy to spot: they fall all over themselves to proclaim their certainty of something (i.e.the non-existence of God) based on a system of information gathering which DOES NOT ALLOW FOR CERTAINTY BUT ONLY ENDLESS INQUIRY AND DISPUTATION. Surely the absurdity of such a position is easily perceived. Now we come back to the child at the rising tide. The child cannot know, in that moment on the shore, of the full vastness of the ocean, the particulars of its ecosystems, the mysteries hidden in its depths, nor its tides and cycles but the child can know with certainty why the tide comes as it does...simply so that the two of them can meet and play together. I was so impressed with Bill's interview with Jonathan Miller that I renewed my PBS membership with WNED. Then I looked for the time when Miller's new series would be aired and couldn't find WNED listed. Should I get my money back? (just a joke) I can't believe WNED is not going to show it. I've sent an email to them asking about it. Very disappointed!! I've really been looking forward to watching the program "A Brief History of Disbelief." It seems a tragedy for basic inquiry if it isn't going to be broadcast here in our area -- and we watch so much of the excellent programming on OETA here in Oklahoma that I don't see how we could have missed it if it were airing here. Please! We want to view it and see it broadcast here in this corner, one of the buckles of the bible belt! There is a question I would have liked to hear you ask Mr. Miller, a kind of "spiritual direction" question if you will, and that is: "What is your belief about disbelief? What is inside your belief, what is it all about?" Guess what's inside that question and where it leads to?! "He who pays the piper calls the tune". Behind every PBS station there are employees with families, kids, and mortgages and there is simply not enough "Viewers Like You" to justify the risk of making the majority unhappy. It's not a conspiracy, it's life. If you would like to watch/download the program now, use the link below in this thread (veoh.com). High resolution versions can also be found on the "bittorrent" network; use Google/Wikipedia if you don't know what this is. It may take some time and effort but this series definitely worth it. The most puzzling question for me is why this program is labeled "controversial". Foremost it's a personal view and a collection of historical facts, which is similar to the format of other programs that made the BBC famous around the world (Clark, Bronowski, Cooke and so on). It seems obvious, by the clear lack of interest in scheduling Jonathan Miller's program on atheism, that most public television stations are simply afraid to upset the majority of contributors by airing it. Money does talk, and if enough of us make clear that our money talks to, we might make a difference. I will inform my local station, WETA, that I will no longer contribute to public television - theirs or any other station - if the show is not aired this year at a reasonable hour (evening, between 7 p.m. and 10 p.m., the way Bill Moyers' own show is aired. If Mr. Moyers sees the hypocrisy, perhaps he will use his enormous influence to shame the stations, as well. Atheists are definitely a minority in this country, and our views are seen as heretic by most Americans. I have long contributed to my area public TV stations, but I am not willing to throw more money their way if its management won't acknowledge that I count, too. It's been asked several times, but no one seems to have an answer answer that I could find. Can the program be downloaded or purchased, and if so, where? Thank you. I would very much like to know what Jonathan Miller thinks about the fact that his show is too "controversial" to be shown on many American public television stations. Incidentally, it is not being shown on WETA in Washington, DC! I have been watching Bill Moyers my WHOLE life! I remember staying up late at night with my mom to watch his very interesting interviews with Joseph Campbell when I was 10 years old. His ability to ask the questions that I want to know the answers to is part of what keeps me interested! And this program with Jonathan Miller is no exception!!! I am VERY disapointed that this show will not be broadcast in my area! I live in the CAPITOL of CALIFORNIA and you would think that, if nowhere else, it would be acceptable to air this here. Being that Ca. is known for it's "Liberal" way of thinking. I too grow tired of these shows that are filled with "hot-air" and pretention that try to "teach" us about religions that are filled with stories that are ment for children books! I agree with the woman named "Diane Davis" when she said that she is "tired of the religious stuff like the tomb of Jesus Christ and the Mormons. When I want to learn about religious things I know where the local churches are..." If we make a stand and let the General Managers of our local stations know that we are displeased with this POOR choice to bait us to watch , what seems to be, an interesting program we can MAKE A DIFFERENCE! Very refreshing. As an 'Atheist' myself living in the USA, it does my heart a world of good to see programming like this. Being an Atheist is very lonely state of being... we have nowhere to congregate... and were we to... would we not then become a religion? WGBH(Boston!) isn't showing it either. What's going on here? Serious intimidatin from the NEA? Worried about losing conservative support? Are we now afraid of offending some groups by having serious discussions about controversial subjects? What is happening to PBS?? When I emailed WGBH, the response was a form letter saying that the show is not scheduled and then urging to me shop in the WGBH online store! Very distiurbing. Mr.Moyers - Please address this in your next broadcast. It appears that it will not be airing in Little Rock, AR at this time either. I will press to have it on sooner or later though. Unfortunately, I will not be able to COMPREHEND the series online via the veoh link because I would need to see it with CLOSED CAPTIONING, which is usually not available by downloading an online video. I'm hearing impaired. Maybe there will be transcripts anyway, like I found a transcript for Moyer's May 4th interview with Jonathan Miller. Dallas and Ft. Worth, Texas, PBS station is "not currently" scheduling the broadcast of the series. The manager has replied via the e-mail that he would let me know when they have set the time to broadcast "A Brief History of Disbelief". what was the point of publicising this jonathon millar series, when apparently it is not going to be shown at all? not on PBS spokane anyway. I used to be an atheist but am now thoroughly satisfied that God could be the only rational explanation for our existence. I was really looking forward to the challenge. Thank you for the very interesting interview with Jonathan Miller (it was not boring to me at all, contrary to another posting). Only on your programs have I seen such openness about atheism without it being bashed, as in "atheistic communism" or some such derogatory observation. Yet, when I went to see whether my local PBS stations in Washington, D.C., Northern Virginia or Maryland were going to carry Miller's show, I was sorry to see that no time is listed at any of those locations. How sad it would be if the PBS stations in and around the nation's capital would be willing to air your interview with Miller, but refuse to air the program that the interview was meant to preview. I hope you can prevail upon them to run it - and I will, too. What's veoh? South Bend/Elkhart doesn't air controversy, either. The interview with Jonathan Miller was boring, stale, uninspiring, by-the-numbers, and a poor advertisement/cross-promotion for Millers' program, which looks just as boring, unprovoking %c. You can do better. I know that, because "Buying the War" and the Jon Stewart interview were engaging, thought-provoking and challenging. Religious fanaticism or any fanaticism for that matter is a probe for any possible religious or socio-political development. It is an innate feature of any complex socio system that is useful for acquiring new material resources and defending existing ones. Characteristics of a fanatic movement include, belonging to a relatively small group of believers such as yourself and behaving in an extreme and unusual manner. Depending upon the degree of success and acquired resources by a trial and error approach, certain features of fanaticism may be incorporated into the mainstream of a community, where it will no longer be considered extreme; or it will branch into new, relatively independent group that will evolve parallel to the mainstream. Finally if it gains no success then the fanaticism will just die out, or stay a minority opinion that lacks recognition and influence. Is ever there such a thing as "too much belief"? For a person, party, or state there is no such thing as too much. The equilibrium point of necessity is always fluctuating depending upon the changes in environment or popular opinion. So the term �too much� is in itself a dynamic measure, its value can never be defined the same way twice. Nevertheless, if an individual engages another, through action or conversation, there can still only be a measure of the amount of effort they invests into impacting the other, not necessarily the extent of their beliefs. No matter what an individual's beliefs are, they are inconsequential until acted on. The surrounding society then takes it upon themselves to decide, whether what was done is harmful or not. But again it is still primarily a judgment of actions not beliefs. Undoubtedly though, society will deem any radical behavior as a product of beliefs, which will be praised or blamed depending on the nature of its impact. Another thank you for the veoh reference. I am looking forward to the opportunity to watch the series on line, since my New York City (yes, NEW YORK CITY!!!) PBS station apparently isn't showing it. Thank you for the veoh reference--Milwaukee isn't showing the series! I think that religious fanaticism comes, in part, from an insecurity/disbelief in one's own dogma. Absent of the freedom to question the religious teachings of one's own particular organized religion, a healthy open-mindedness is replaced by an arrogant insistance that one set of religious ideas is the one and only correct path to take to arrive at absolute truth. Is there such a thing as "too much belief?" Absolutely there is! A rigid belief system that, by its own definition, does not allow room for other belief systems to co-exist, or even for science to exist, or that arrogantly allows that these beliefs may exist but that they are wrong (misguided) and emanate from a less than full understanding and acceptance of the real truth, will inevitably lead to some level of violent conflict. During my 61 years 'on-planet', my religious views have undergone a number of metamorphoses, but until 2 years ago, they all felt incomplete, uncomfortable, and a bit forced. Then, as I was watching Ridley Scott's remarkable movie, 'The Kingdom of Heaven', about halfway through the movie, but apropos of nothing in particular, the phrase, "Spirit unites, religion divides" popped into my mind. I felt so suddenly, profoundly and completely freed from religion that it was, I guess, a 'de-conversion' experience. Since then, I've decided all religions are ungodly. If there is a god, a universal meta-creator, then we are all equally products of that creation and any attempts to 'patent' the 'god experience' are only manifestations of a desire for power and wealth (which is power), and as such, only too human. Religion itself is just a reaction to our fear of death and a desire for this to not be �all there is�. I remember that when I was about 12 I asked my mother whether, if we were only good so we could get into heaven, was that really being good or was it just being selfish which, to my mind, should serve as a disqualifier. Fear really does seem to be the root motivator for all religion, and indeed, for most bad behavior in general. I believe most people confuse religion with spirituality when, in fact, those seem too often to be in direct opposition. I can believe in a �human spirit�; a commonality of feelings that unites us all at our most basic level. I do not believe that we need �religion� to instruct us on what�s good or evil. Even a blind person can usually tell if it�s daytime or dark. I believe most of the world�s religions are such a perversion of whatever truths were espoused by those whom they purport to revere that their devotees could be branded as delusional heretics at best. The mental gymnastics required to believe that death and destruction could ever be �godly� can only be classified as insanity. Your arguemnt is hearfelt and well-spoken. However, it can also be argued that you set of beliefs are meta-lies as well. You believe the lies you tell, because you ardently believe they are true . . . according to your own set of beliefs. Do you see how easy of an argument this is to make, and how these kinds of arguements are useless to the debate? There is no common ground to be found here, because you assuem those who haven't accepted your series of "self-evident" beliefs are somehow deficient until they agree with you. You have destroyed tha ability for us to discuss together, because anyone with a lack of faith in God is wrong, blind, etc. Still, what you say about "hope for humamity" is something I agree with as well. My avenue for such hope is through humanism, a belief that mankind has a potential for good on this earth . . . that anything "broken" about the material world is something of our man's own design, his own primordial fears. NOtices I focus on fears, as opposed to "inability" or "impossibility." Hope exists in humanism precisely because we believe mankind's ongoing histoical conflict with himself is ultimately optional . . . kind of liek the way polio turned out to be an optional affliction that we decided we could live without. That is my hope, and maybe through a desire for hope we can truly find some common ground here. There is hope for humanity and it lies with great minds like Miller's. Superstition is having its run at this moment of history as it has done in the past. It will do great harm and many will die but in the end the world will come out of it and know that the superstitions of the day will go as others have gone before them. Where is Thor, or Hoth, or Jupiter these days? The belief in God and any others by other names will go as well. Denial is the first defense against the horrifying. Jonathan Miller takes denial to the next level, a meta-denial. Please excuse my spelling and general misuse of our language as I am an old enlisted man who never completed much schooling. Meta-denial enables one to lie about lies without even knowing that one is lying, all very pathological. The bodies of Jefferson, Washington and Darwin are turning in their graves but thanks be to God that the One that counts is not in His grave. To achieve good health it is very important that we work our way out of denial and move to the next step of our grieving. Humanism most ardently promotes the denial of the self evident fact that God is here and failure to deny Him condemns all humanity. Just cannot have that can we. Only a lunatic would condemn all of mankind? I disbelieve Mr. Miller when he says he has never seen God. All have seen God and in defense of survival choose to deny Him. Mr. Miller does believe himself so he thinks he represents some truth which makes for a wondrous world of entertaining fantasies, very useful for gaining fame and selling the show. Unfortunately it multiplies the horrors we face again and again and again. There is no hope for humanity in this lie. Would someone please recognize the truth and stop repeating the lame and useless words of Pilate asking what truth is; depending on what the meaning of "is" is? It is not only "A brief history of disbelief" that is censored. Nobody in America was allowed to see "Gladio," a 3-program series produced by the BBC and RTBF (Belgium) on how former Nazis ("stay-behinds") were recruited byb the CIA to form a fifth column in European governments intended to take over in the event of a Soviet attack. Gladio was itself responsible for many assassinations and terrorist attacks, used as a tactic to destabilize Europe and discourage election of left wing governments. Its existence was revealed in the Italian Parliament by the Italian Prime Minister after the collapse of the USSR. Nor have we been allowed, except in a few film festivals, to see the Irish documentary of the American-condoned coup attempt against Hugo Chavez in 2002. The filmmakers were prescient enough to title the film, "The revolution will not be televised." The fact that both films were broadcast in other countries, but not here, helps explain the disconnect between American and others' attitudes toward our international policies. As soon as anything such as country or religion becomes more important than the sanctity of life for life's own sake, then the door is open to use country or religion as an excuse to selectively extinguish life. Religion magnifies human tendencies - it can be the cause of great kindness and generosity, and it can be the cause of great violence. Such is the case with any human institution. I would very much like to see this in the Boston area on Chanel 22 or 44. IS that possible. I also wonder why it is playing in so few areas at such strange times. I'm really curious why you ended the exerpt from Jonathan Millers "History of Disbelief" right where he says there is "a cabal of short sighted Christians in the White House who have established a morbid and unhelpful liaison with the Israeli establishment which exacerbates and already suicidal reaction to be seen in Islam." Seems very odd you'd leave that part out. During last night's episode of Bill Moyer's Journal, host Bill Moyers interviewed Jonathan Miller, creator of a three-part series titled "A Brief History of Disbelief" to be aired on PBS stations beginning this week. Or perhaps "some PBS stations" would be a better description. "Are PBS Stations Burying 'A Brief History of Disbelief?'" I just want to thank the universe that gave us Bill Moyers. I am a long time admirer. How can we get the DVD on Mr. Miller's program? My local Austin station is not showing it. My belief is that some significant portion of the American public is: 1) doing better than they have earned, 2) in a situation not under their control but which they do not want to lose, 3) have bought into notions of "getting ahead" and are thus harried and stressed. There is a wonderful quote from Lao Tzu #24 that a portion I think applies here. "You can't keep standing on tiptoe or walk in leaps and bounds. You can't shine by showing off or get ahead by pushing. Self-satisfied people do no good, self-promoters never grow up. . . ."
Thank you. Something I appreciated about Zen years ago is that it has no beliefs. Alan Watts described that as being 'refreshing.' Indeed, it is. What a pleasure it is to use one's mind. I look forward to Bill Moyers' Journal being the most important event on my TV. I would love to see Mr. Miller's program on the Baltimore PBS station. And how refreshing to read these posts (well, most of them) and see others posting thoughtful, intelligent comments instead of the usual rabid hatred you get when anyone attempts to discuss religion. It brings to mind Dawkin's comment that atheism is the last taboo in this culture. Bravo to other other brave minds here. I would very much like to watch Jonathan Miller's "A Brief History of Disbelief" (profiled last night on Bill Moyers). However, I cannot find any listings on my local KSPS station. Help! Will PBS be providing at least a podcast? issues, which offer only one choice of two alternatives. Unfortunately, we are addicted to anxiety, believing that which causes the biggest "Gasp" is most deserving of our attention. I suggest we all Relax, Slow Down, and take it Easy. Could you please provide a podcast for Brief History of Disbelief that was recommended by Bill Moyers last night. I see no future schedule for showing it by the two local Seattle stations (maybe they showed it the same night as Bill Moyer's Friday program or before?). Has anyone seen a picture of the cosmos? I don't think that this planet is a dust spot in the scheme of things. How can anyone believe otherwise when we can actually see other galaxies, billions of stars and countless solar systems. I can't believe this show will not be on in the NY metro area. I think we can handle the truth. I am in a state of disbelief that neither Channel 13 in New York nor Connecticut Public Television seem to have chosen to air this program while they have given lots of air time to Christmas and Easter stories, the Crusades, the Illuminati, etc. What's up with that? Will they air it later? This is a bit discouraging for a longtime subscriber. From the beginning of the show, I agreed that a discussion on disbelief would be helpful and instructive. As insightful as Jonathan was, and as much as I loathe dogma, I found myself thinking of comments which would cast that dreaded *spirituality* in a better light. When he got to the end and spoke of there being less meanness, and more generosity, I realized that would be a waste. As different as our journeys are, we are in much the same place. I just believe that more is possible; just different small miracles. In response to Mr. Barnes in the first comment, I believe that dogma comes from the same place as racism. We desparately try to bolster our poor egos by believing that we are better than others. Believing that different things may be wonderful may make us inferior. We poor humans. Marvelous conversation w/ Jonathan Miller. But there is a legitimate place between atheists and believers - agnostics. Ancient (and not so ancient) peoples created dieties when they couldn't explain natural phenomena. Haven't most later religions done the same thing? I cannot accept the idea of the existence of a god just because there is not other explanantion, nor can I accept the idea that the universe sprang out of nowhere either - hence, my agnosticism. I consider it unknowable so I don't worry about it. Doesn't matter to me. I think I'm a pretty good person by most standards because I choose to be so -not out of fear or promise of a future reward.It just feels right and makes sense to me. If there is a heaven and my failure to accept a particular dogma keeps me out, then it's probably not a place I want go anyway. Sort of like a restricted club - not my kinf of people. My family wouldn't be there either. How about an in depth look at the UU faith - my faith. People need to know and understand us much better than they do. Thanks, as always, for a terrific show. It is usually not the religions themselves, rather the men who interpret them. As always I found the program and the subject matter stimulating and worthy of my attention. Mr. Miller's views are certainly an interesting prespective, but seem to me, a physicist, to be dated and in need of refurbishment. Like many who graduated in the mid-twentieth century, his education was limited to facts and dogma unsupported by science. Might I suggest that he get a copy of the book, "Conscious Acts of Creation", subtitle, "The Emergence of a New Physics", by William A. Tiller, Ph.D., Walter E. Dibble, jr., Ph.D., and Michae; J. Kohane, Ph.D.. Mr. Miller will get enough Math and carefully control experimentation to, at the very least, put a dent in his belief (based on his faith not science) that the Universe has no "intention". That is truely old school thinking and it is time to move on. Perhaps because I am a hopeless Dostoevskian, I cannot divorce the one Miller interview from the other. I propose the two Millers as brothers - and one would not suggest that the imprisoned one had a fanatical religiosity that was destructive; on the contrary - so I don't find the second Mr. Miller's comment about the 'danger' of intense belief credible as an either/or proposition. Now, one might retort that Mr. Miller incarcerated was not an example of intense belief. I think he was. I am experiencing something like awe. On one night I listened to Jonathan Miller talk to Bill Moyers about the nature of disbelief and Christopher Hitchens explain to Charlie Rose How Religion Poisons Everything (subtitle of his book God is not Great). The mind boggles and I have to psychically pinch myself. A near-perfect one-two punch to superstition and impossible wishfulness. As an artist, I appreciated Miller's rejection of "spirituality" and embrace of transcendence. His open, thoughtful apprehension of life as lived was bracing and satisfying. He's not the first non-theist or even non-believer you've talked to probingly, Bill. I wonder how these sincere and sensible people's considered views are affecting you. I understand that human existential angst can be mitigated by belief in the absence of death, the presence of cosmic purpose and protective omnipotence. No worries. So man created gods, or God (although still Gods). But all the explanations I've read still can't enlighten me as to why disbelief in God, or in a particular God, engenders so much anger and hate from many believers. Why so threatened? Why such enmity? Infidels. Pagans. Atheists. Agnostics. Christians. Catholics, Jews. Expressing affection in public. Exposing the skin of your face. Making representational art. Flying a kite. Kill them. Kill them. Kill them. It would be nice to think that reason, sense, open mindedness, tolerance, acceptance can be the antidote, but they have become crimes too now, inflaming further fanaticism. Still, I can speak only for myself. A night like this -- with voices of reasonableness and clarity, of thoughtfulness and sincerity, of perception and honesty: humanist voices -- was warming to the soul (a word Miller tried to use and I feel compelled to try too). Thank you, Bill and PBS. I look forward to A Brief History of Disbelilef (with much the same feeling as I look back on Bronowski's Ascent of Man.) And if my local station is one of those not airing it, send a DVD and I'll show it to small groups all over town. I'm sure others would do the same elsewhere. A common thread in all fanaticism is the human need for recognition to set right a perceived or actual wrong, which is then exploited through the masses by propaganda and brainwashing. Thanks to goodness for John Miller's mind. I would go so far as to say that the belief in intelligent design in the universe is immature thinking at best. At worst, religiousity is the second oldest pervasive con; designed to part simple folk from their money; promising much and rewarding little. Somewhere in between, it is the impetus for hatred, bigotry, and war; as if there weren't enough excuses for that in the purely economic and geo-political realms of human discourse. Like Johnathan, I just never bought any of it as sensical. I look forward to hearing his views on the mess we are in. I wish I could offer a path that would get us all clean away. The closest I can come is the Native American view that we all respect the "spirits" that are evident to them in the nature of the planet that gives us life. That means conservation and environmental awareness. When it comes to Existence, whether it has a name or no name, that we've assigned to it, will never bring us any closer to defining It. All phenomena perceived only via the five senses are illusory, which means that the human ego is an illusion itself. Yet, in our illusional reality, we continue to define, in a 'spirit' of arrogance and sometimes contempt, what it is we think we know and others don't know. And because of this extant, and rather childish contention between religion, science, secular humanism, and all the other factions etc., we miss the most basic and accessible truth - that all is One! However, this revelation is an individual experience. For the 'actualities' of Existence can only be explained to those who have had that Experience- a frequency response! A scientist once said that if there was no beginning, to the universe, then nothing can be explained. And ultimately, that means that we all must find our 'own way' or depend solely on those in science and religion for 'explanations'. The real question is how to harmoniously integrate the collective human ego to the 'one-song'(The Mainframe), so it can stop 'playing' what it already is? As a science teacher (retired, but still working with teachers), I can't help but think that increased scientific literacy would go a long way towards making a better world due to a populace that is thinking clearly and logically. Bravo, Mr. Moyers, for introducing us to Jonathan Miller. Now it's time for us viewers to start nagging our many PBS stations (like KQED in San Francisco) to show this interesting and thoughtful series! a hundred more as unafraid of searching for the truth as you; we would be a better nation. Thank you, Bill Moyers, for giving such an articulate non-believer as Jonathan Miller a chance to explain his views. Very refreshing! As to the questions posed, probably religious fanaticism comes from the same source as the concept of God: the human mind, which seeks out patterns even when confronted with random phenomena such as shifting cloud formations and the sprinkling of stars across the night sky as seen from earth. Also, we humans want someone bigger than ourselves, such as parental, supernatural figures, to be responsible for cleanup duty, blame, and hope. Will humanity never grow up, graduate from the training wheels of our religious roots and admit these functions are all up to us and only us? If only humans would look for and cultivate the goodness in themselves and others without indulging in religious pretense. Is there such a thing as too much belief? � Absolutely. Any unnecessary belief = too much belief, and we are drowning ourselves in the surplus. Any belief that asserts itself in place of objective, reality-based explanations is pushing aside our precious natural world and our sanity in favor of an artificial story. Ill-supported, blind beliefs are at best unproductive detours, and at worst poisons. People swallow assurances of eternal life at the cost of thorough grieving; is there any therapist out there who honestly claims that such incomplete grieving could possibly be healthy? How can you ever properly value loved ones if you are so busy deluding yourself it�s not possible to ultimately lose them? The overwhelming abundance and developments of nature, our happy coincidences, momentary alignments, the comfortingly mundane and the thrilling unknown are all more glorious than the contents of all the �holy� books combined. Things that are not infinite abstractions are inherently more precious precisely because of their temporal uniqueness. Even though I can�t agree with you on the personal deity/supernatural cosmic explanation stuff (as Douglas Adams said, �Isn�t it enough to see that a garden is beautiful without having to believe there are fairies at the bottom of it too?�), dear Mr. Moyers, at least you have the open, respectful, generous attitude that pegs you as a fellow humanist. So glad to have you back, sir!! With such scant evidence for belief it is a wonder that there could be such a high preponderance of gullibility across the ages. Thank you for attempting to open the minds of the willfully ignorant. In your talk with Jonathan Miller, you questioned "what before the Big Bang" and Mr. Miller said something to the effect that "we don't understand the physics yet". I thought you might be interested in an article in New Scientist magazine titled "Impossible Things for Breakfast" (p.30, Apr 14th issue) in which the author, Robert Matthews, makes the argument that we need to extend "set theory" to encompass sets which have other than binary logic. In other words sets that entertain "illogic", such as you might have in the environment of high energy physics when the Big Bang occurred. Doing so would explain many of the problems that quantum theory introduces and lead to "answers" for things like "when did it all start?" It's a little sad to read those posts from religous folks. They seem to not have had their mind open and listening, at all, while Mr. Miller was talking. To directly answer some of the things he talked about might be useful to hear; but to simply ignore it and start pontificating? Well, at least it's good that some of you were watching PBS, at all; in spite of constant beratings by Fox 'News' et al to not to. I also want would like to see "A Brief History of Disbelief", I've written to Cleveland PBS asking why I'm not permitted to see it. I was slightly dissapointed when you left your post on "Now." However, I hardly think that it was a loss! I find your journal to be even more stimulating. You have to a certain extent been "uncaged" to explore even further dimensions in the questions that we all have been asking ourselves for years; whether we ascribe to what we are told to believe or what we find within ourselves. Keep it up! The chllanges that we face are still out there somewhere, looking to unveal themselves. Moyers - making a comeback so he can keep up the lying. My favorite Moyers quote - "Don't let the facts get in the way of the Story." Well, Moyers never lets the facts "confuse" him one bit. I just watched the piece on the Iran Uranium story. Moyers cannot report on it without continuing the lie. The remarks in the State of the Union address by President George W. Bush were NOT based upon a forged letter from the Italians. It has been thrashed out by both the British inquirey and the one done by the US Senate Intelligence Committee. Now Moyers can join the ranks of Lying Joe Wilson as one of those who persists in distributing the lie. Get that clarivoyant Lapham on so that they can both lie in tune. The bottom line is that there is not one iota of evidence that a supernatural being, or a supernatural domain, exists. From what science has shown us for the past couple of hundred years, it is pretty clear that all that exists, exists in the natural world. God does not explain anything, because God needs more explanation than his non-existence. Who created God? When was he created? Why does he exist? Any answers you give can be equally well applied to the universe. God is an illusion created by men to rationalized there mortality and to control other men. I would like to see "A Brief History of Disbelief", so please broadcast it on more stations.. I would also like to thank Jonathan Miller for putting this together. It's funny how dogma emerges in the most inhospitable places. How shocking to hear this rational man humming along with his generalizations and suddenly realize he's talking about me. Those who have rejected religiosity and found something luminous within themselves are "those awful new age people with all their talk of spirituality," or words to that effect. As a progressive political activist I meet a lot of people who are nauseated by the word 'spirituality' and I'd like to restore its integrity somewhat in the way we are resuscitating the word "liberal." Many intelligent, thoughtful people confuse religion and spirituality in their rejection of God. Jesus confused people by saying that the only way to truth was through himself, when in fact the truth is within all of us -- this IS spirituality. Through meditation we can find something within that is the highest and loveliest and most enduring part of ourselves. It has nothing to do with whether we are creative, intellectual, right brain, left brain, or genetically endowed in some other way. It just is. Religion encompasses the ways people on earth have used the human quest for spirituality to motivate each other to do things. I'm sad for those who have shut themselves off from any notion of God because of the horrible things people do in the name of this beautiful thing we all share, this thing with no gender (how strange to hear religious people using the word 'him' for God! ), no age, no politics, and no religion. I like Gore Vidal's satirical portrayal of the "sky god," the distant arbiter of our existence for whose attention we have to perform some many-faceted dance. Why can't we relax and let the God within us flow? Perhaps because no one would make any money off us? So good to have you back, Bill Moyers! God bless. Just simply "thank you" for your program. Anything that provokes people to think is good. Does “A BRIEF HISTORY OF DISBELIEF” appear on WNET or in NY? All the stations in the list are out of town. I just turned off your program (disbelief). Please stop with your unsupported conclusion that religious fanatics perpetrated 911. It was an inside job. Start with WTC7 and try to get free of the brainwash. Ahem. Wa salaam wa alaikum. The fact is, non muslims have been cheated of the truth. God makes the rules you know...not human beings and humans historically have hated the rules so much so that they hide sacred texts, alter sacred texts, forget how to worship and hate those who do remember those things. How many Catholics actually know HOW Jesus prayed? Did Jesus eat the Eucharist i.e. his own flesh? Ridiculous isn't it. The Jews and Christians have lost the title it seems but we muslims invite each and every one of them to Islam to RELEARN actual religious practice. oppression of other devout and pious believers at the behest of ONE and only ONE deviating group: the Jews. And yes...the Jews have ZERO in common with Christians. ZERO. Forget about "who" killed Jesus...because we know that he wasn't crucified that day. First, if Jesus were "God" he wouldn't question himself. Secondly, if Jesus were "God" the devil could not have tempted him with worldly glory in the desert during Lent. THAT much is obvious even to a kindergartner. It is truly amazing to me (as a former Catholic) that we bought this outrageious lie in which Jesus (a human being and prophet) is equated with "Allah". to SUBMIT whether they like it or not. Because "submission" to Allah's laws is related to "natural laws" and "inherent consequences" of NOT following "God's" laws i.e. Allah. The easy way (Islam) or the hard way (everything else). Choice is up to each individual soul. And there are consequences in both this life and the next. Peace and "how it is". Thanks to Bill Moyers for at least giving humanists some air time! I feel we desperately need a full and open discussion about the topics raised by Mr. Miller and other humanists. We certainly get enough comment from the Christian fundamentalists among us; it is time that humanism and non-belief in a supreme being get equal attention. The American Humanist Society is one of the most sane and comforting organizations in America today, and yet we hear very little about it and its many good programs and ideas. That failing needs to end. Perhaps the program on disbelief, although not scheduled to air in all sections of America, will prove to be just the right first step to begin to open some minds. Thanks to Bill Moyers and WXEL for scheduling "The History of Disbelief." However, it warrants more publicity and prime-time showing. In recent times, hasn't belief trumped knowledge? People believed that Saddam H had WMD. They believed that deposing him would be a good idea. People believe (fill in the blank). People are willing to act on their beliefs rather than explore and investigate so that they can know. If I were going to kill someone because they were about to kill me - I would want to KNOW that before I acted. Why is it that people are willing to believe what they know is not true? Isn't that a pretty good definition of insanity? It is an issue that needs more attention, debate, recognition of the facts instead of misconstrued illusions of what it means to be an Atheist. I left links. I think fanaticism of any sort (religious, political, social, economic) comes from fear - fear of losing control, fear of losing, fear of change. It also comes from anger about those things - anger about inequality, disrespect, unfairness. I think the more open-minded, unbiased education one has, the less fanatic one can be. I think there is definitely such a thing as too much belief - as in, God is on my side, I know God's mind, I am right/you are wrong, I know The Truth/You do Not. And then there is belief without testing - faith without reason. If there is a God, he/she/it gave us brains as well as bodies, to behave and think rightly in the world - take care of yourself so you can take care of others, don't hurt yourself and don't allow others to hurt you, and obviously, don't hurt others. That's it - that's what God wants of us. And even if you don't ascribe to a God, behaving in such a way makes peaceful relationships possible. Shouldn't the word "believe" be changed to "understanding"? Aren't we advanced enough to know that the intricate, perfect order of the universe did not create itself? Why is it so hard to accept that intelligence must be behind any successful endeavor? From the moment I was able to comprehend all this and be at peace with the world, I have called my God "the Creator". First, Mr. Moyers, you are an inspiration to many. Second, how disappointing that Mr. Miller's program doesn't even appear on the schedule for any of the PBS stations here in the DC metro area. Of all the places such a program should be shown in this country, it is here. The Human Brain has devised many "short cuts" to deal with the intricacies of modern life. One of them is the capacity for belief. In order to save processing time, we assign certain things to a function of our brains in which we do not need to question their veracity, as we do not have time in making our "conscious" decisions to make true logical choices using ALL the facts at our disposal. This faculty is called "belief." Over the thousands of years men have realised that they can use the faculties of the human brain to control others to their own advantage by instilling programs into this belief system. Call it religion or politics or whatever, it is still only a method of using an existing faculty to control others to our own advantage. We cannot do without it but we must watch all the time for those who would suborn it for their own ends. Religions and their followers do not have a monopoly in being able to perceive the "sense of wonder, awe, and profound respect for everything..." The fact of the matter is that institutionalized religions seek to impose beliefs that are the negation of curiosity and awe and can therefore never lead to the profound respect that is at the basis of civil coexistence. Belief should never be placed in words, alone. 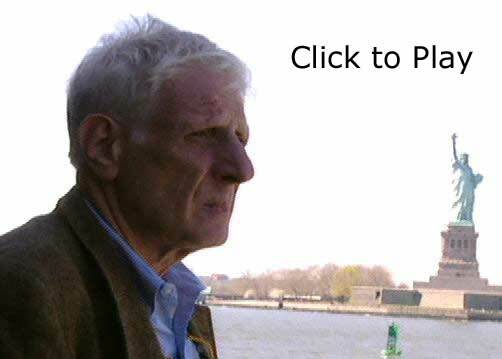 I would just like to thank Bill Moyers and PBS (some stations at least) with the courage to present Jonathan Miller. Can any reasoning human being not recognize the inherent flaw in religious belief - or any belief that is based on "faith", not on critical analysis and reason. Fear is the underlying cause of religion and all other "isms". No, there is no such thing as too much belief. Religious fanaticism derives from a failure in belief of the principles of the fanatic's religion. Since "A Brief History of Disbelief" is showing in so few places, and it is not showing where I live, I seriously hope PBS will put the program on their website. I want to see "A Brief History of Disbelief." I wish KPBS would show it soon in San Diego. I am tired of the religious stuff like the tomb of Jesus Christ and the Mormons. When I want to learn about religious things I know where the local churches are, and frankly some of them know how to do it better than PBS can. Too much belief? All the time, represented by all the centuries of advocacy in an assortment of "one true god." An excess of religious belief is like a disease or infection that hampers the rational activity of the brain. And Thirteen, New York, where are you? How come I can't find this series on the schedule of an enormous flagship station of PBS? 'Fraid I can't come near the word "belief" without thinking of the legendary Wittgenstein lecture, in which he pointed out how differently the word is used in religious and non-religious contexts. To say, "I believe x," within purely rational discourse is to make an extremely weak statement -- properly answered by, "Oh, you ONLY 'believe'?" Whereas those speaking of religious beliefs are often ready to hoist the black flag and start slitting throats to uphold them, despite the fact that there's no demonstrable content in the claims. Of bloody course there's too much belief! And that's precisely where fanaticism comes from. We should be very careful, very minimal in what we allow ourselves to believe in any absolute sense, lest it becloud not only our reason but also our morality. Religious extremism and intolerance is most likely learned behavior, as any mystical experience of divine presence would instill a sense of wonder, awe, and profound respect for everything in God's Creation. Moreover, intolerance as promulgated by politicians and leaders of various faiths is nearly always the direct consequence of absence of genuine spirituality, not to mention exaggeration of the importance of one individual's view. Nearly all religions embrace a concept of oneness, the importance of love and/or compassion, of spiritual practice as well as belief, and some approach or other to notion that ultimately we are all children in God's creation and that we are destined at some point in our experience to embrace this truth and live it. The common denominator of most founders of faiths is the manner in which each interpreted his own mystical moments, this whether cultivated through austerities in the wilderness or silent meditation in a grove or even through whirling in grief over the loss of one's beloved. The common denominator of these heightened states of awareness is not only bliss but oneness. This means that divisiveness is actually an abuse of faith, both on the part of the self-declared leader as well as the fools who follow such rabid individuals. The fact that the masses can be mobilized by fear and anger is a sad commentary on society at this time in history because it is hugely unlikely that the Buddha, Christ, Mohammed, or anyone else would still be remembered today if they had instilled hatred and fear in the hearts of others rather than hope and kindness. Therefore, such leaders need to be seen for who they actually are and the best ones to reveal the truer and safer path are those who have purity of heart and deeds. To this extent, we can say that it would be safer to follow in the footsteps of someone like Oprah Winfrey than George Bush because one can believe in her source of inspiration but not that of the people running wars and campaigns against the peoples of other faiths, other countries, and other territories. Disrespect for others, for the environment, and for the legacy to future inhabitants of this Planet is a sure sign of absence of piety, not true religion. Is it my imagination, or is PBS downplaying this show. There is no reference to it on its web site and it looks like only 16 stations will be airing it, most in small markets. Is PBS afraid to push a program devoted to Atheism? It wasn't afraid to push one on Mormonism recently, and many Christian and Jewish programs over the years. Yes to the second question, emphatically so in an “enlightened, secular” society, especially during a scientific age where daily discoveries verify and enhance scientifically proven theories (facts to the rest of us), and thereby undoubtedly present a heavy burden for an increasingly educated populace at odds with their own long-held beliefs. As to where it comes from, my own humble theory is Man’s inability to rationally accept his own existence as an improbable coincidence of Earth’s distance from the sun and millions of other improbabilities throughout time, at least in this stage of our evolution. The disgraceful conservative movement of the last forty years in this country has proven beyond any doubt that regressions and “devolvings” are common as a species evolves through natural selection. There will be no more wars only after we all accept this is all there is, after this you are gone, just like millions of other species throughout much more time than Man has been here, that weren’t so cursed by sentience and the knowledge of his insignificance in and to the Universe. Religious and tribal provincialism has long been the root of all conflict. An evolution in our very being is required if we are to overcome and rid ourselves of this self-destructive tendency. In order to collectively achieve a true civilization, we individually must realize our personal responsibility for each and every problem we encounter and do our part to make it better. Until we are aware enough to do this, we will probably be doomed to repeat the kinds of mistakes our leaders are making around the world today. If we are to hold them accountable, we must also hold ourselves accountable for our own contributions to the attitude of provincialism that pervades our culture. Us vs Them is NO way to run a civilization. in regards to what is/has been going on in U.S. politics. of our misguided escapades such as the Iraq invasion. Thank you Bill for not retiring so early,we need you. Such thing as too much belief? From a psychological view, perhaps. Certainly, if those things you believe lead you much more frequently to destroy or to harm than to create and nurture, you ought to reconsider what you believe. Your belief has made you a liability to yourself and, from the perspective of others observing your behavior, your belief has made you a liability to them as well, a threat to their well-being. Where does religious fanaticism come from? I think we can lay the blame squarely on extreme individual arrogance and tribalism. The viewpoint that what one believes is inerrant, that no other view is possible or permissible. Enough people believing and thinking like you do and you have a tribe that absolutely will not stand for other belief, other viewpoints, other ways of life. It becomes "us" against "them" and inevitably leads to conflict, retaliation, counter-retaliation and so on. There comes a time when it no longer matters who is right, who is wrong. Arrogance and tribalism become the driving force of conflict, not the original beliefs that led to it. Any attempt to examine the rationality and reason of those original beliefs is simply met with hostility rather than genuine drive to discover the truth. "Where does religious fanaticism come from?" The idea that there is only one god & it is my God. All other gods must, by that logic, be inferior & those who worship them must be as well.